GK Dutta > G-ABSTRACT > THEIR SACRIFICE IS OUR FREEDOM!!! 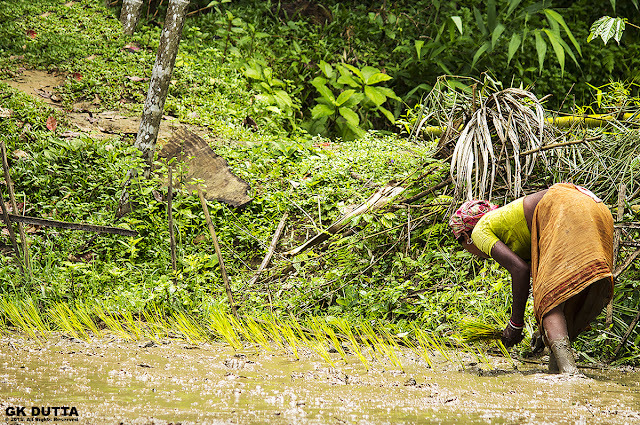 India is an agrarian country with around 60% of its people depending directly or indirectly upon agriculture. 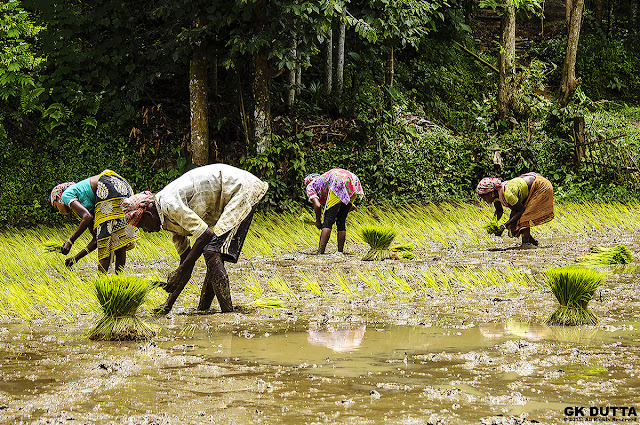 Agriculture in India is often attributed as gambling with monsoons because of its almost exclusive dependency on precipitation from monsoons. 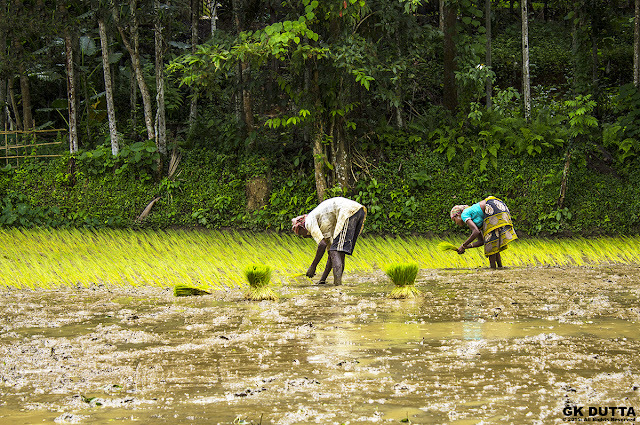 India has the largest paddy output in the world and is also the fourth largest exporter of rice in the world. 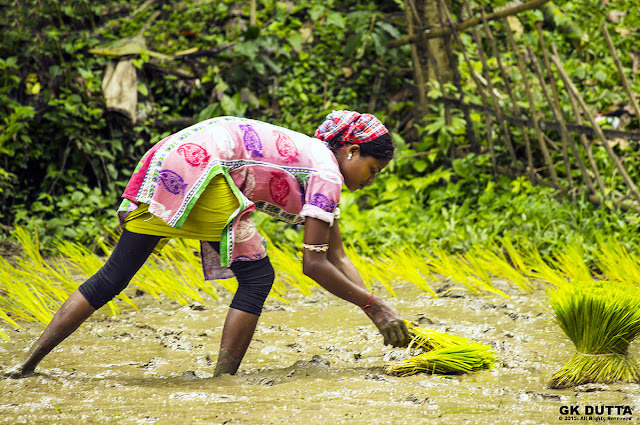 In India, West Bengal is the largest rice producing state. 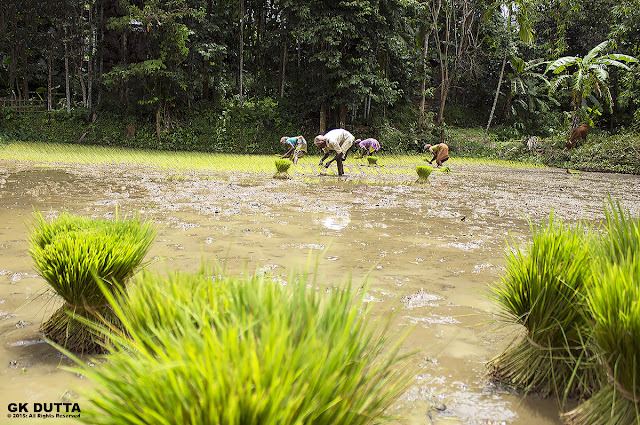 Paddy fields are a common sight throughout India, both in the northern gangetic plains and the southern peninsular plateaus. 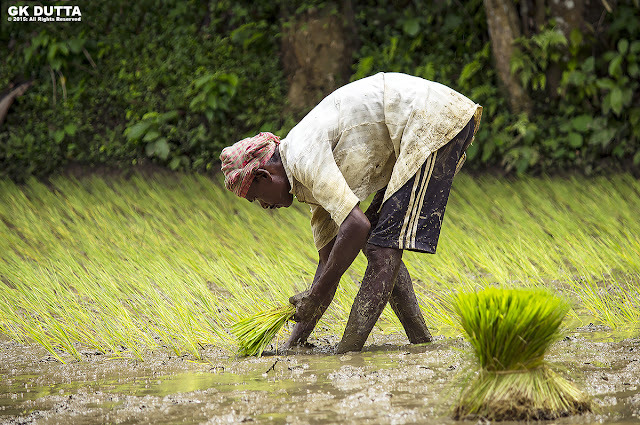 Paddy is cultivated at least twice a year in most parts of India, the two seasons being known as Rabi and Kharif respectively. The former cultivation is dependent on irrigation, while the latter depends on Monsoon. 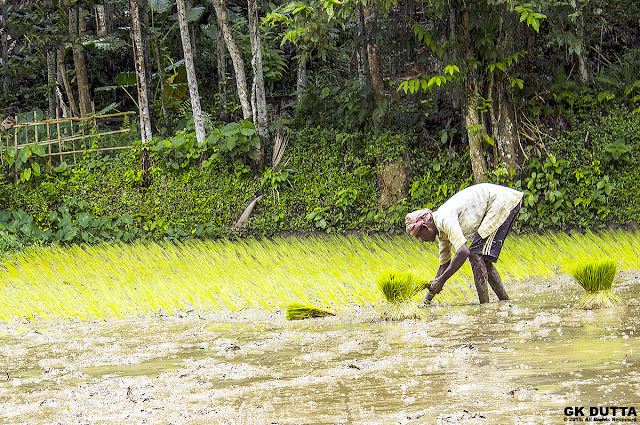 The paddy cultivation plays a major role in socio-cultural life of rural India.